Our company, Medix Taxi(Miyagawa Taxi）, has been in business for over 50 years. 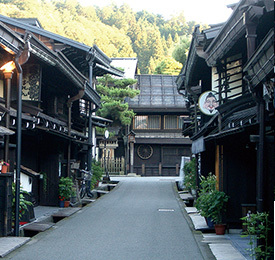 We offer a variety of tours to cultural sights in Takayama and the surrounding areas. Why choose us? – Our drivers are experienced, friendly and reliable. –You can request an English-speaking guide at no extra charge. 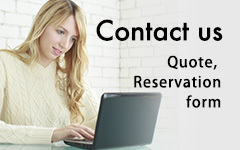 –We can accommodata guests with special needs. We offer six different tours. If you’d like to create your own personalized tour, please let us know. *We'll pick you up at your hotel or guest house in Takayama. *Highway tolls, entrance fees and parking fees are not included. *All rates are for a standard-size Sedan. If you prefer a minivan, please contact us for rates. Our minivan taxi is ideal for families and small groups travelling together. There’s enough room for up to 7 passengers. It’s ideal for long distance trips. Our minivan taxi service is reasonably priced. We have English-speaking guides (subject to availability). English guide service is available in the taxi fare only. In Takayama, there are many things that can be enjoyed all year round such as the Old Town, the morning markets, and the Takayama festivals. 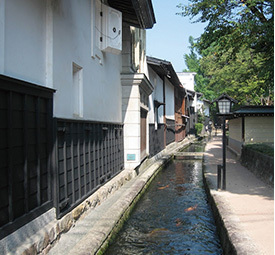 Step back in time on your first visit to Takayama. Experience the history of old Japan. If you don't have much time, this tour is for you. The Buddhist scripture house at Ankoku-ji Temple is the only national treasure in Hida. 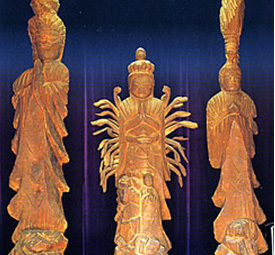 We also visit Senkouji and Seihoji Temples, famous for their wooden carvings by the Buddhist monk Enku. Afterwards, enjoy a relaxing walk at Utsue Forty-eight Waterfalls. This tour highlights the community spirit and artisan skills which emerged from Furukawa’s festival culture. 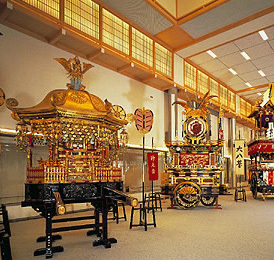 We visit the Festival Drum Exhibition Hall, white-walled sake breweries and a traditional Japanese candle maker’s shop. 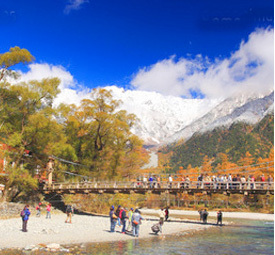 Kamikochi is a remote mountainous highland which has been preserved in its natural state. 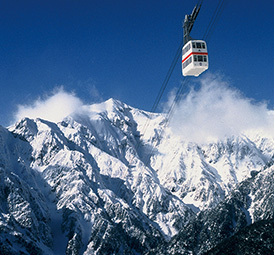 It’s Japan’s most famous alpine sightseeing destination. Mt. 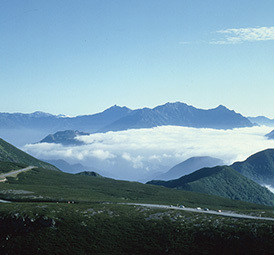 Norikura is the third tallest volcano in Japan. There are eight plains and 12 crater lakes on the mountain that were formed by volcanic activity. It has a variety of plant and animal life on its slopes. The double-deck gondola will take you to the world above the clouds, 2,156m above sea level. From the Observation Deck at the top of the mountain, you can enjoy a wonderful panoramic view of the Northern Japan Alps. 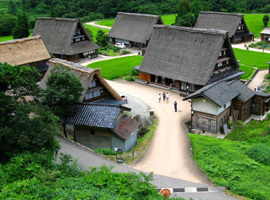 The historic villages of Shirakawa-gō and Gokayama are one of Japan's UNESCO World Heritage Sites. 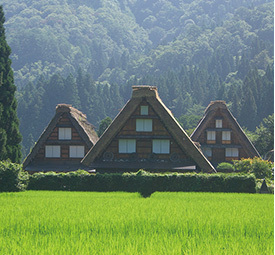 These villages are famous for their farmhouses built in a unique architectural style known as gassho-zukuri. You will visit the World Heritage Site of shirakawa-gou and Gokayama,and enjoy Gassho-zukuri (traditional Japanese farm houses).